Don’t just create campaigns—launch movements. This sentiment rings true in the latest initiative from TOMS. In celebration of the company’s birthday, TOMS is launching #withoutshoes, an Instagram initiative to give away one million shoes to children in need. While the initiative is impressive, another unique aspect of this campaign is that the company isn’t asking customers to purchase their shoes. Instead, they want fans to post a photo of their bare feet on Instagram with the hashtag #withoutshoes. To participate, one image from each individual counts toward the one million shoe donation and must be posted on Instagram between May 5–21. To encourage participation, TOMS has a dedicated microsite to further explain their passion and purpose for donating one million shoes. The company has also created a 31-page DIY Toolkit PDF with printable signs and stencils for members of their community who want to host parties or simply make their Instagram images more creative. At press time, just one day after the campaign launched on May 5th, TOMS had already generated close to 56,000 #withoutshoes submissions. If this pace continues, the company will come just short of their one million hashtag goal by May 21st, so raising awareness with and sharing creative fan submissions will be critical in continuing to the momentum. In reviewing the user-generated images, they are all unique, and many speak to the individual’s support of TOMS’ mission raising awareness for children’s health and education. It’s also worth noting that a few famous fans have pitched in to show photos of their feet, including Sesame Street. Kudos to TOMS for once again setting the bar on what it means to be a socially responsible company. TOMS is smart to understand that not everyone may be able to spend money with their company, but they can share an image of their feet on Instagram for a worthwhile cause. Plus, by removing purchase from the initiative, the company is generating more awareness and goodwill through word-of-mouth from the most engaged communities out there: their consumer’s social media communities. While writing this article is part of this author’s mission and support in raising awareness, I also couldn’t resist submitting my own image. After reading this article, I hope you will consider doing the same! TOMS is donating up to one million pairs of shoes to children in need. 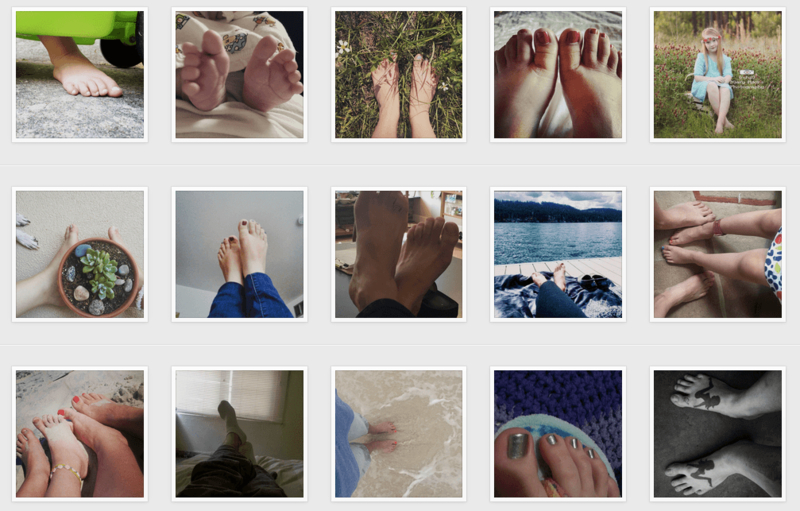 All you need to do is instagram a photo of your bare feet with #withoutshoes by May 21st. I highly encourage you to participate!